G. W. Farmer was born June 5, 1859; died March 3, 1935. He was almost seventy-six. He was married to Mrs. Virginia Porter Couch, August 8, 1889, to which union five sons were born, three of whom survive: Floyd, Oak Ridge, La. ; Ivan, Lebanon, Tenn.; and Paul, Atlanta, Ga. Besides these and his beloved companion there is a stepdaughter; Mrs. Ruby Regan, Los Angeles, Calif. 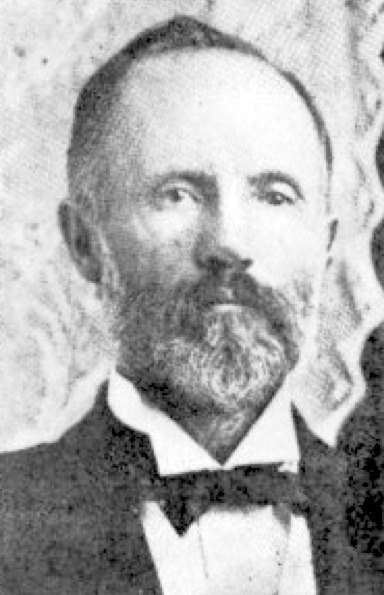 Brother Farmer graduated from Burritt College in 1885, and devoted some time to education work, serving as president of both Holston College and Rice Institute, Rice, Texas. He obeyed the gospel early in life. He was of a serious mind, well informed in the Scriptures, zealous for the work of the Lord, an untiring teacher and personal worker, and an able defender of the faith. His zeal and the needs of East Tennessee led him to Cleveland, Tenn., in 1919, in which mission field he spent the remainder of his life. He labored first with East Side Church, and with its help he established Central Church, with which he labored for a while. He spent the last few years of his life in building up waste places, strengthening weak congregations. His last work was with me last October at Ooltewah, fifteen miles from Cleveland, during which he never missed a service. He was anxious to establish at least one congregation in each of the thirty-two counties of East Tennessee. He saw this done in all but fourteen. I have been laboring with him and under his direction since June, 1920, going once, twice, and some years three times during the summer months. I have never known a more zealous and determined worker. He labored publicly and from house to house under the most trying circumstances, and gave of his means beyond his power. I spoke at the funeral services by his request, just one week after burying my own beloved companion. It was fitting that the service was in the house where he had preached and exhorted so much and where he had conducted so many Bible drills for the children. His body was laid to rest in a flower-covered grave in Lebanon Cemetery. Farewell, dear brother and fellow laborer; for soon we shall too cross over. R. C. White. Gospel Advocate, June 20, 1935, page 598. From I-40 take the U.S. 231 exit off I-40, Exit #238. Go north toward town. Turn left on Ligon Dr. It will deadend into S. Maple. Turn right, and the Cedar Grove cemetery will be on the right. Go into Gate #3. You will see speed limit sign right in the entrance. Stop the car and go into the section on the right about three or four rows and you should come to the Farmer grave.